Rewards have never been easier to redeem! Gone are the days of waiting weeks for your reward to be redeemed through snail mail. 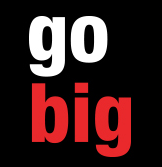 The future is here with Go Big Virtual Prepaid eRewards! Getting eRewards has never been easier. Jobbers buy any qualifying product from any participating Go Rhino or Big Country distributor. Consumers buy any qualifying product from any participating authorized Go Rhino online partner. Submit your product, personal information and a copy of the sales receipt, invoice, order acknowledgment on the Submit Online Reward Claim page. Receive a code that can be used online where Debit Mastercard® is accepted.